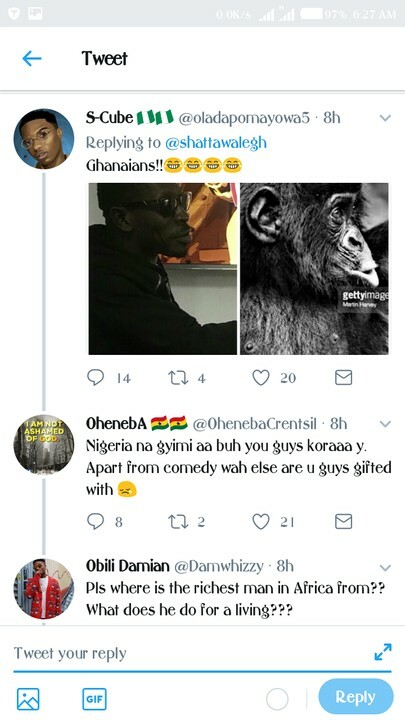 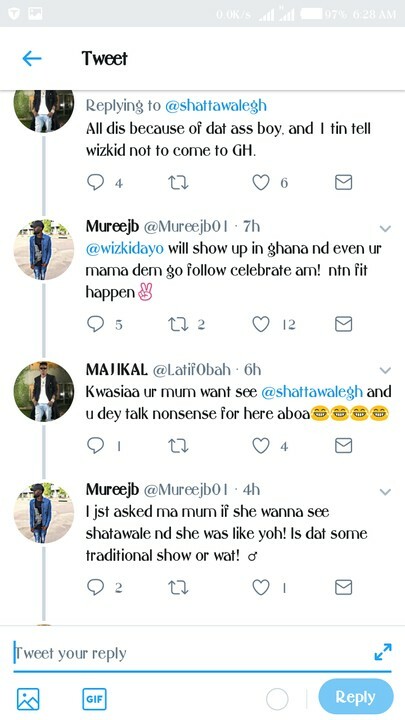 Popular Ghanaian dancehall act, Shatta Wale who has been on the rant on social media over his comment on Wizkid superstar status is now under serious pressure for messing with Nigerians. 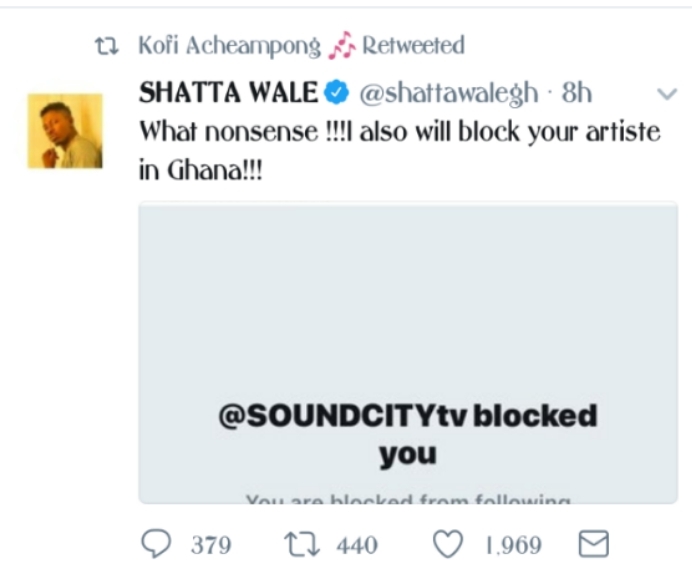 The controversial act was recently blocked by Soundcity TV for all his negative comments on NIgerian artistes and Nigerians in general. 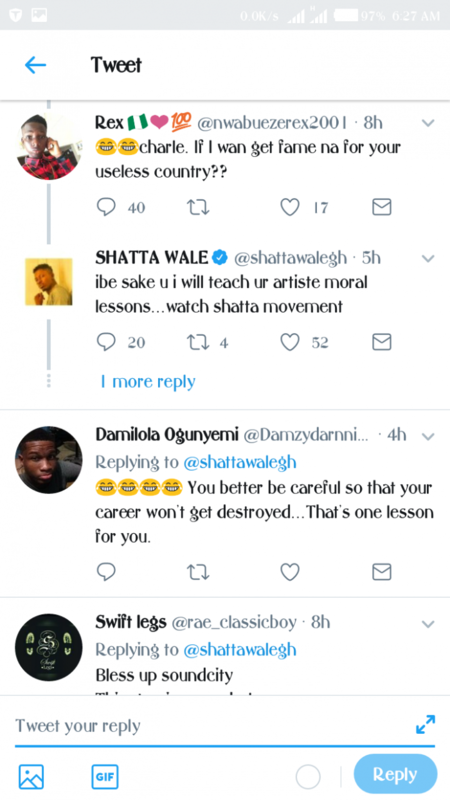 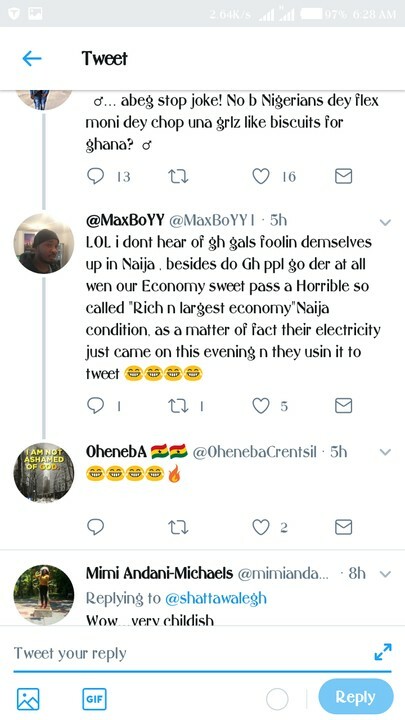 In retaliation, he promised to block all Nigerian artistes in Ghana.